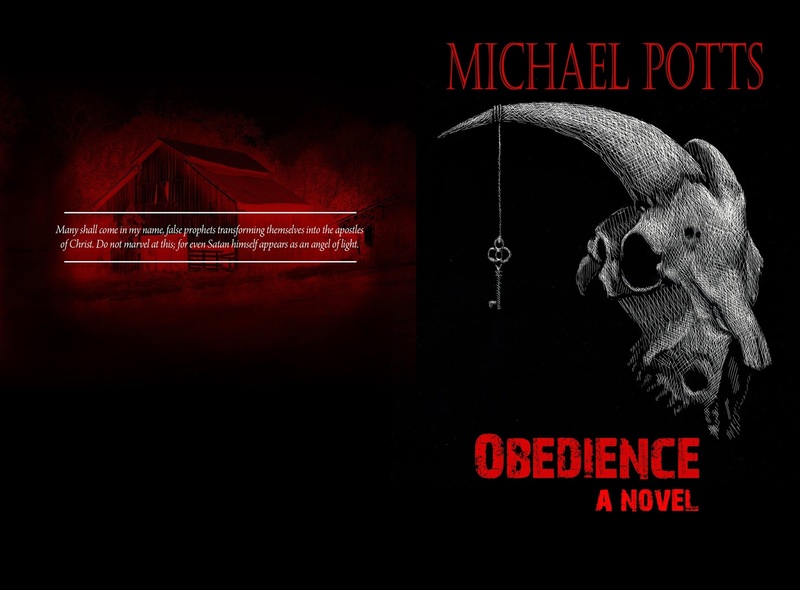 Michael Potts writes horror, Southern fiction, poetry, and nonfiction. He has authored three novels: End of Summer, Obedience, and Unpardonable Sin, the nonfiction Aerobics for the Mind, and the poetry collections, Hiding from the Reaper and other Horror Poems and From Field to Thicket. I hope you can check out my blog tour set up by Silver Dagger--there are guest posts, unique summaries of the book, and a sample of the book for you to savor. Do ghosts haunt your mind? Perhaps they are the ghosts of past mistakes, waiting to rise from unconscious darkness into the horror of full awareness. They may be the ghosts of past relationships, those “It might have been….” “I wish it had been….” Or “What if it had been… questions that are guests of near-photographic memories flooding consciousness at the most unexpected moments. Perhaps you have experienced a classic ghost, the spirit of a person who has died. All these subjects have been treated in the contemporary ghost story. The classic ghost story of the nineteenth century was about the return of a spirit of a dead person, perhaps vengeful, perhaps not, but the goal is to create in the reader a sense of the uncanny, the mysterious, a fear that brings chills that continue long after someone finishes reading a story. One of the classics is M. R. James’s “O Whistle and I’ll Come to You, my Lad,” quoting a haunting line from Robert Burns, the Scottish poet. If you have not read the story, I hope you do. I will not give away the plot, but like most James stories, the tension builds slowly and a chill grows until the reader experiences a feeling somewhat like Rudolf Otto’s notion of mysterium tremendum et fascinans, “mysterious, tremendous, yet fascinating.” The feeling is more like a creepy sense of awe, though it is mixed in with a good deal of old-fashioned fear. The traditional story has continued in contemporary fiction; a contemporary master of the traditional ghost story was Russell Kirk (1918-1994) in his fine collection, Ancestral Shadows (ISI, 2004). His stories left me with more of a feeling of awe that James’s, and that says a lot. One must include Peter Straub’s fine 1979 novel, Ghost Story. Although traditional ghost stories are still being written, they usually have to have a unique twist to avoid repeating the same plot line and themes of earlier stories too closely. Many contemporary ghost stories focus on psychological forces that haunt us—tragic errors, personality flaws, mental health issues, living people who continue to haunt, sometimes in negative ways. The “ghost” might be memories of abuse or memories of a first kiss full of promise of happiness that led to heartache. A ghost might be a hallucination produced by the mind alone based on nothing that is externally real. It might be the return of a deadly temper suppressed for many years that explodes into murder and mayhem. The psychological sophistication of contemporary ghost stories is significantly greater than those written in the past (except for, perhaps, Henry James’s The Turn of the Screw). Shirley Jackson’s The Haunting of Hill House leaves it an open question whether the ghosts are objectively real or the psychological horrors of the protagonist. The stories in Joe Hill’s 20th Century Ghosts mainly concern psychological ghosts rather than “dead people ghosts.” A masterpiece of stories regarding psychological ghosts is Mort Castle’s Knowing When to Die: Uncollected Stories (Independent Legions Publishing, 2018), which is literary horror of the highest order. Since my bias is toward the supernatural ghost story, I was not a fan of the collections of psychological ghost stories I had read before I read Castle’s book. I am a fan of this collection; it is excellent. I still prefer the supernatural ghost story (“dead people ghosts”), but I am more open than before to non-supernatural, psychological ghost stories if they result in a similar mysterium tremendum feeling I have when reading good supernatural ghost stories. Reading both kinds is essential for any writer of ghost stories today. Should Horror End in Hope? Although Stephen King’s work is generally hopeful and optimistic at the end of his books, the change from the ending of King’s story, “The Fog,” into the ending of the recent movie reveals, in part, a change in the culture of horror. Books and movies with hopeful endings are still being written, but some horror, such as the Splatterpunk movement of the 1980s, comes across as nihilistic rebellion against order in general. At least the characters in Lovecraft’s fiction believe in fighting against the chaos they find. The Nightmare on Elm Street series along with the Halloween series, has Freddy and Jason being resurrected time and time again as if they are undefeatable. To me, this is not a good thing—it is not the same as J.R.R. Tolkien’s saying that evil always reappears in other forms over time for Tolkien has ultimate hope that one day evil with be totally conquered. I do not mind if children read or watch horror per se; children love to get scared. What is hurtful is when a horror story or movie leaves them without hope. However, there is a way that some adults can get something useful from nihilistic horror—they can see the results of a godless universe. Rather than parroting the atheistic existentialist’s manta about finding one’s own meaning in a universe without God, nihilistic horror spits in the face of that view, recognizing it as a cop-out, a denial of reality. Thus religious people can watch and learn from nihilistic horror how a totally matter-energy based universe leads to meaninglessness, violence, and despair. However, when others read such books and watch such movies, they may think that nihilism is the correct view of reality—and behave accordingly. Nihilistic horror is a logical development from the loss of Christianity among writers and others in the intellectual and artistic classes. It still does not appeal to most Americans who watch movies, as the ending to the movie The Fog killed any chance of it being a financial success in the United States. Japanese horror, such as the Ring series and the Grudge series, is not nihilistic since the bad things that happen have a purpose in the Buddhist karmic system. Neither is the Saw series since the motive for killing is moral desert—the victims deserve what happens to them. Cormac McCarthy’s works sometimes border on nihilism, especially Child of God and perhaps Blood Meridian, but in the end his characters are searching for a truth in their lives that they find elusive. No Country for Old Men reflects the point of view of a sheriff who sees the rise of psychopathic violence that he attributes to the loss of traditional values. However, violence and destruction for no reason at all other than to shock the reader or viewer does reflect a nihilistic world view. This does not mean that everyone should avoid nihilistic books or movies; not only can educated Christians learn from them, but also writers of all religious backgrounds or none. Thomas Tryon is a master of prose. Clive Barker writes a variety of work, not all nihilistic, and his fiction has a literary flare arising from Barker’s love of the King James Bible and classic literature. The horror elements in some of these books are useful, and the writer should always seek new ways or variations on older ways of creating suspense and a sense of dread. The writer of horror who prefers hopeful endings should avoid the ending coming across as contrived. That is an easy mistake to make. The ending should flow logically and naturally from the overall story while still having an element of surprise in the climax and denouement. Stephen King’s early work and Dean Koontz’s horror works are good models to follow. Personally I will not write a horror novel with an unhappy ending unless I am trying to illustrate what a world without God will look like, as I did in my short story, “Earnest Expectations,” about a man who gets an unpleasant surprise about the ultimate nature of the afterlife. H. P. Lovecraft was a model for that story. In my novels, focusing as they do on the battle between good and evil, I cannot in good conscience as a Christian end them by leaving the reader without hope. What Tolkien labeled the “eucatastrophe” (“good catastrophe”) of Christianity and a good story is what I am trying to capture, and I pray that thus far I have done that well and will do so in any future work. Contemporary horror writers emphasize originality--that stories of traditional supernatural horror have become trite and repetitive--and have suggested ways writers can enhance originality. They point out that horror plots become repetitive; with under twenty basic gothic horror plots, it is easy for readers to lose the sense of tension since they already know which plot points to expect. Characters can also become stereotyped; the ghost, vampire, werewolf, Frankenstein-like monster, and other standard monsters have certain expectations surrounding them. Perhaps this is why the "good" "romantic vampire" has become such a popular character type. Yet those who give writing advice also warn against writing against readers' expectation. If the "rules" of the vampire genre are altered, these writers may criticize the author for throwing the reader out of the story by interfering with the suspension of disbelief. Such a suspension can occur more often if the reader finds him/herself caught in a world both familiar and unfamiliar. Stephen King was a pioneer in placing traditional horror stories with their standard rules into the world of middle class America. If a writer mixes genres (as Neil Gaiman does, winning awards in science fiction, fantasy, and horror for the same work), each genre maintains some stability of rules while the universe of these forms of speculative fiction is broadened. An example is in American Gods, in which the Norse gods are in the form of familiar human beings any person might pass by in the street. Yet such an attempt, brilliant as it is, my not fully bring out the horror in the old Norse legends. Although I enjoyed reading American Gods (and as someone reared in Tennessee I found the location of Ragnarok at Lookout Mountain in Chattanooga, Tennessee humorous), I would never label it as a horror novel. I never felt a chill or feeling of fear, or even the mysterium tremendum et fascinans that one can feel while reading a book of horror (especially a good ghost story). Is there room in contemporary horror for lovers of traditional supernatural horror using the familiar tropes--as I am? Is there room for writers of such horror--as I am? How can one be a traditionalist in horror writing and still keep the fiction fresh? Traditional horror is often rooted in myths that reach deeply into human fears. The ghost story probably dates back as far as animistic fears of dead ancestors returning to exact revenge. Vampires stemmed from deep fears about the corpse returning to life, fears stirred by a misunderstanding of the nature of decay in human bodies. I prefer to keep those myths in their traditional form--which I have not done so, I have found the reception of my work harmed. 1. Keep your characters interesting. Write vivid characters, true to life, people that the reader can imagine meeting and with whom s/he could have a conversation. Write people you "know," including "combinations" of varioius people you know. I grew up around rural Southern people in middle Tennessee--those are the people I "know best," and those are the characters I write. Give your monster some unique traits--for example, given a ghost a twisted sense of humor. Write about a vampire with dull fangs. Little variations can make a big difference. 2. Write a story in the context of a fully developed world with a particular mythology that is dominant. For example, I write about a world in which the Christian mythology is true. If I wrote a Lovecraftean-like story, I can set it in that world. I have tried, though with difficulty, to combine a Lovecraftean mythology with a Christian mythology, in which the Christian God triumphs over the Old Ones. That tends to offend "purer" Lovecrafteans, and it is easier to stick to one mythology per short story or novel. 3. Use suspense to create and maintain tension. Although the reader may know the rules for how an evil vampire behaves, she should not know in advance whether the vampire will feed on its intended victim. Keep the tension up and do not reveal secrets too soon. 4. In some stories, a twisting or elevating of language can help to bring out vividness or set a mood of fear. 5. Keep your plots logical but unpredictable. Those seem like contradictory aims, but this is deceiving. Each plot point should flow from the logic of a previous plot point--but as we know, from the same circumstances the future can take many paths. Choose an unlikely, off the wall path that at the same time comes across as inevitable. This is difficult and requires much practice, but the author--and the reader--will be rewarded in the end. Online gurus give you a lot of advice. I would never consider myself a guru, but if there is one complaint I have about "gurus," it is that their advice is often one-dimensional. Advice on writing is no different. Take, for example, the instrument you use to write. For example, you may write as I am writing now, using a type of word processor--in this case the one set up by Blogger. My guess is that most writers use word processors these days. Others, however, use pen and ink or pencil. The kind of notebook varies; many writers prefer legal pads. Others may buy high school or college-ruled notebooks from a discount store. Some poets like to write on a small notebook, while screenwriters often use index cards to write their scenes. Wendell Berry uses an old manual typewriter to write his novels, poetry, and essays. A newer method is to use voice recognition software that offers speech to text and dictate their work into a word processor. I once read a short book by a writer who argued that if you want to make lots of money on books, dictate as many small books as possible, carefully edit them, and submit them to sites such as CreateSpace. Are any of these methods better than others? The right answer is "It almost always depends..."
There are two things you should think about--first, what method or methods do you prefer, and in what genres do you write. On the first point, if you only like using a word processor to write and find that works for you, then by all means use it. If you exclusively use legal pads on which to write the first draft and then revise on word processor and that works well for you, keep using them. I prefer using different methods depending on (1) my mood, and (2) the particular genre in which I am writing. For example, I use Word for most of my writing and almost exclusively for academic writing. I remember the days of writing a draft of a paper on a legal pad and then typing it up on an electric typewriter. That was time consuming, and my typewriter did not have spell check. A speller and divider I bought helped a lot, and I recommend that any writer purchase a speller and word-divider in print form in order to have it at hand when you are working on a writing project. In writing poetry I prefer to write the first draft by printing it in pencil or ink on any piece of paper I can find available. Usually legal pads work best for me since they have sufficient room to keep me from continually dividing long lines. I revise using Word. There are times, however, that I use Word for a first draft of a poem, and sometimes that works quite well. But if a poem comes to mind in a flash, I run, grab a pencil or pen and a notebook if I have one--even a napkin if I'm at a restaurant. (A well-known poet, who shall remain unnamed, said in a talk that he wrote lots of poems on bar napkins!). I suggest you try various combinations until you find one that works for you. Regarding screenplays, you are going to have to map out scenes or you will end up with a piece of junk.. Although there are computer programs that do that, I prefer buying a pack of 4" x 6" index cards and writing a sketch for one scene on a side of the card, using front and back so I'm sure to get every scene onto that deck. This also allows me to reorder scenes by changing the order of the cards and inserting a card if I need to write a new scene. When actually writing the screenplay, you definitely need software that formats your screenplay in the correct style. Check out free programs first; if they work well, that will save you a great deal of money. I use celtx; others prefer alternative free programs--a great list is found at http://www.scriptreaderpro.com/free-screenwriting-software/. If this does not work for you, check the many options regarding paid screenwriting software. I prefer Word for writing novels, since I can make corrections easily using a good word processor.. There are also several writing programs; Scrivener is quite good. I have tried writing on a legal pad, but it is painfully slow to me--but many successful authors use legal pads--again, you work with what helps you keep writing, since keeping writing and not giving up often distinguishes the successful from the unsuccessful writer. I use dictation software when I am writing autobiographical material. It is easier, for me at least, to speak about myself and have the program put it in writing. If you are in a hurry or have an upcoming deadline, and especially if you can speak clearly and quickly, then dictation may be best, though be careful to edit your work! If a written first draft is usually crap, imagine how bad a spoken first draft might be. I hope this has been helpful to all of you who write. It is past time that horror writers and filmmakers tone down the level of violence in their works. I admit I have enjoyed my share of slasher films, but after a while the rolling heads, spilling guts, oozing brains, and bodies split down the middle get old. But lately some writers have become too lazy to build suspense, to do the difficult work of characterization and plotting, and write violence instead. Anyone with good descriptive skills who can paint an image in the readers' minds can write a violent scene. If violence is an integral part of the plot that is one thing--if it is only there as filler material for vacuous minds--that is another thing. As movie special effects become more sophisticated, violent scenes have become more realistic, and makers of slasher films seed bigger and better special effects. They miss the fact that the movie Halloween, one of the finest films in the horror genre, had little explicit violence. Even the first Nightmare on Elm Street was restrained compared to today's horror/slashers, and it had a decent plot and characterization. Contemporary filmmakers might respond that violence is what the audience wants, especially the younger audiences that make the bulk of horror/slasher fans. I have noticed this myself as a university professor--when I taught a class on philosophy and horror fiction, I would invite the students to watch a horror movie. They were only interested in the violent ones; a classic horror film such as the original version of The Haunting, did not interest them at all. One can legitimately ask whether the bloodthirstiness of today's students has formed a symbiotic relationship with contemporary horror/slasher films. Young people are becoming more violent due to many factors, but I doubt that watching more realistic slash-ups will alleviate their violence; it might even enhance it. Though overdone on the violence aspect, the first Saw movie was saved by the deep moral implications regarding duties to self and other people. Would it be right to shoot an innocent person to save one's family? Yet after the first films, the others were redundant and were more bloodfests than anything else. I know the producers made money, and that's all that matters, right? Not when it comes to good writing and making a quality film. Keep your integrity and your soul, writers. Movies such as Sinister and The Conjuring have brought back the old tradition of holding the audience in suspense until the monster (in the case of these films, a ghost and a demon respectively) appears. That involves suspense, but the presence of a monster brings in the horror element. I hope that trend continues. What if Satan shape-shifts to look like Jesus? Would he fool you? He fools Sheldon Sprigg, a Fundamentalist preacher from Tennessee. Satan convinced Sheldon that the only way to save his mildly rebellious daughter, Ginny's, soul is by killing her. Now Ginny struggles to survive, with the help of her boyfriend Paul, her best friend Susie, her mother Elma, and an eccentric elderly neighbor, Herbert Miller. Can she live through both her father's and Satan's attacks? Will she be forced to kill her father to defend herself? Obedience has the answers. In our own world, we have seen what harm toxic religion can do, from 9-11 to ISIS. Toxic religion, religion without love, law without grace, obedience only out of duty, damages people and places their loved ones, such as Ginny, in what seems to be a no-win situation. Trapped in a false world not of her making, Ginny must escape the trap of toxic religion before it destroys her and those she loves. Purchase at WordCrafts Press, amazon.com, and other fine online booksellers. I am a philosophy professor and a writer of poetry, Southern fiction, and horror. My debut Southern fiction novel, END OF SUMMER, was published in 2011 by WordCrafts Press. In 2014 WordCrafts published the horror novel UNPARDONABLE SIN and the horror novel OBEDIENCE in 2016. AEROBICS FOR THE MIND, a set of exercises designed to make philosophy fun, was published by WordCrafts in 2014.